Because your day deserves to be sunny-side-up. If you’ve been keeping up with the #spoonfeed trends, you know how hard it is to avoid the puddle of drool that inevitably forms below your mouth while scrolling through the #yolkporn feed. Well guess what? It’s time to put the phone down, clean the drool up, get your crap together, and make yourself some eggs that will have your taste buds begging for more. 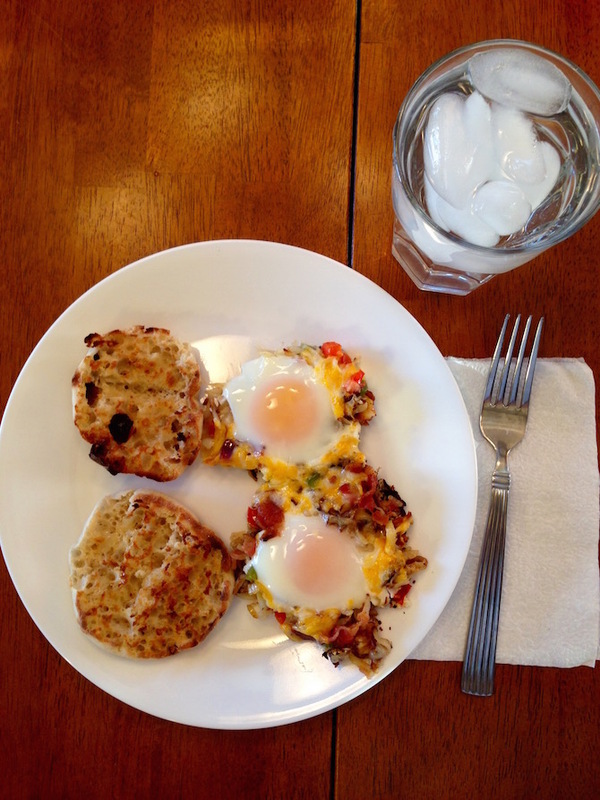 Eggs really are the only food you need….why? They’re cheap. They’re easy. They’re versatile. They’re one of the best BLD foods—breakfast, lunch, OR dinner. Need more proof? Check out these 5 ways to change up your egg routine. 1. Spray small sauté pan with nonstick spray. Cook peppers and onions over medium heat until softened. 2. Scramble eggs over medium-low heat in small skillet. 3. Fold shredded cheese, salt, and pepper into scrambled eggs. 4. 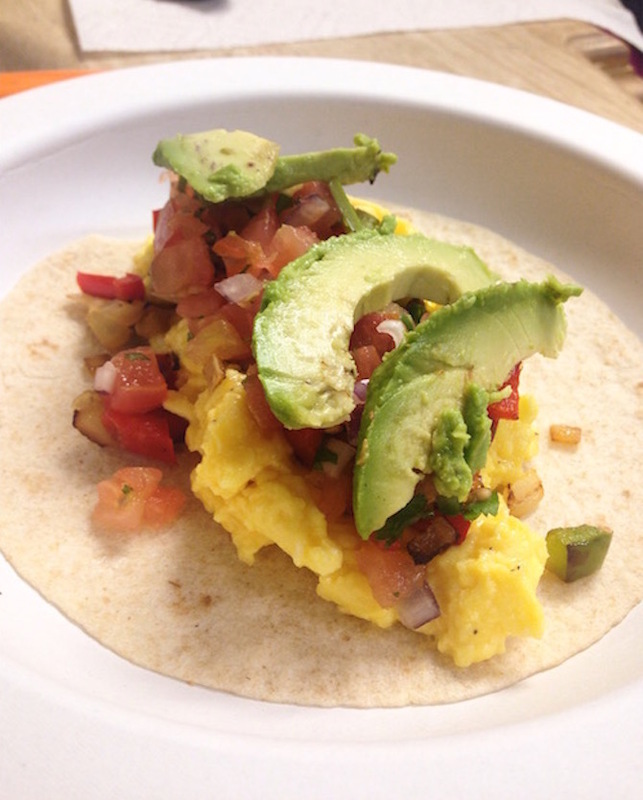 Top flour tortillas with pepper/onion and scrambled egg mixtures. 5. Top tacos with your choice of salsa, pico de gallo, and/or sliced avocado. 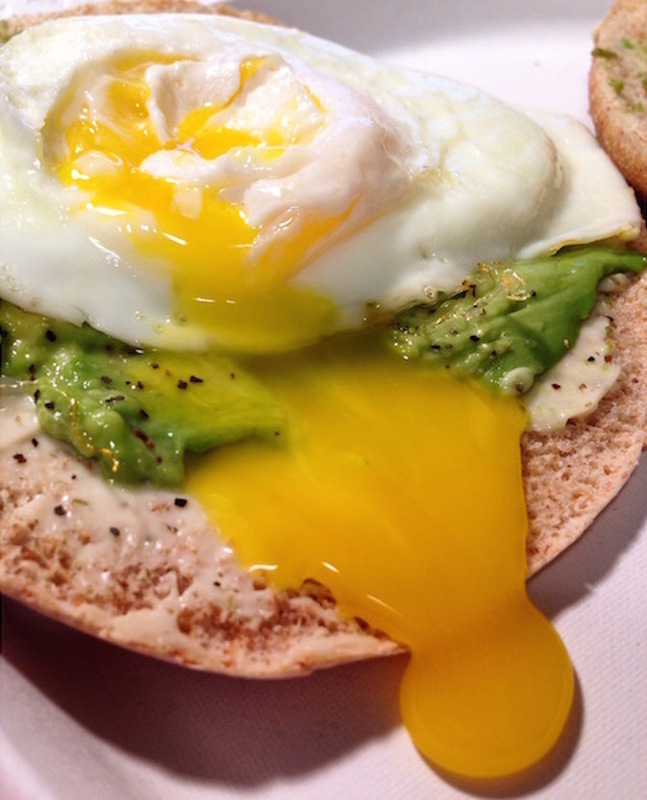 Avocado and egg: a match made in heaven. In any form, this combination will not disappoint you. Baked egg in an avocado? Perfection. Eggs (scrambled, fried, sunny-side-up, poached, you name it) on top of mashed avocado and toast? Pure bliss. Just combine these yummy foods for a nutritious pick-me-up at any time of the day. You can thank me later. 1. Prepare small sauté pan by melting 1 teaspoon of butter or spraying with nonstick spray. 2. Over medium low heat, fry eggs (to your liking) in prepared pan. 3. While eggs are cooking, toast bread and mash avocado. 4. Top each piece of toast with half of the mashed avocado, one fried egg, salt, and pepper. 1. 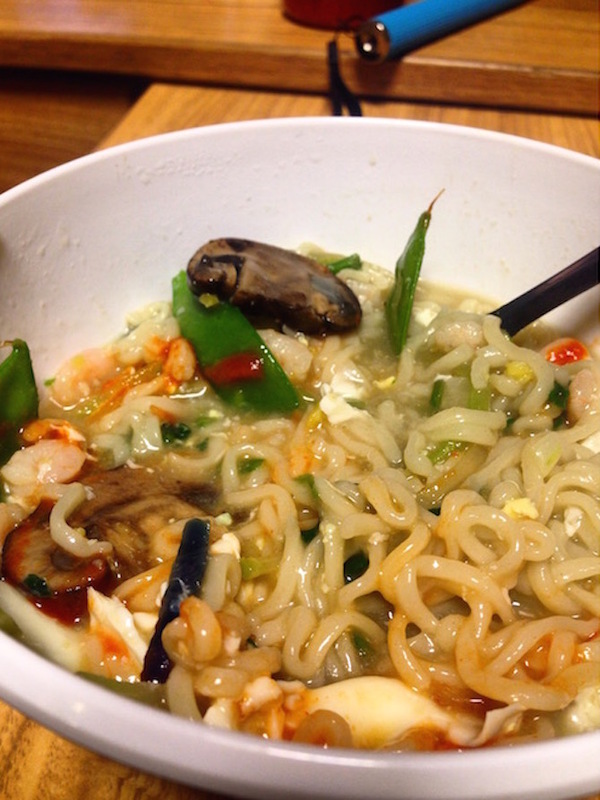 Cook Ramen Noodles according to package directions, adding vegetables during final 2-3 minutes. 2. Turn heat down and let liquid come to a simmer, but not a full boil. 3. Make well in broth and gently crack egg. 4. Simmer mixture and poach egg until whites become opaque. Top with Sriracha and enjoy. 2. In a large, oven-safe skillet over medium heat, bring olive oil to a simmer. 3. When oil simmers, add frozen hash browns, flatten, and cook for 2 minutes. 4. Add chopped peppers, salt, and pepper, flatten, and cook for another 5-7 minutes, stirring every 2 minutes. 5. When potatoes have browned, remove skillet from heat and flatten hash. 6. Make 4 indentations in the hash and crack an egg into each. 7. Sprinkle cheddar around eggs. 8. Transfer skillet to oven and cook until egg whites set, about 8-10 minutes. 6. Serve immediately (if you’re me, serve with toast or an English muffin). 2. Toss cooked pasta with 1 teaspoon olive oil and set aside. 3. Grease a medium-sized oven-safe skillet with remaining olive oil. 4. Whisk eggs together and season with salt and pepper. 5. 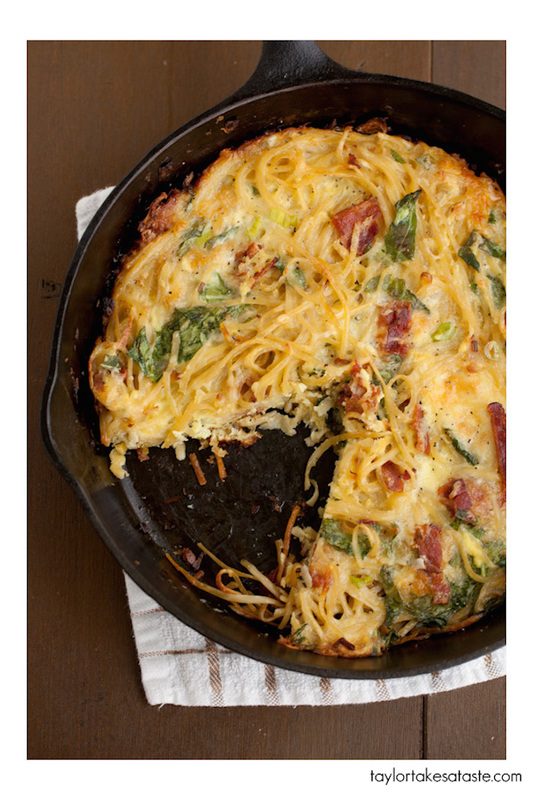 Add grated Parmesan and pasta to egg mixture and gently pour into skillet. 6. Bake for 20 minutes or until set. Get creative. Eggs are cheap.Have a friend over for breakfast and bond over some quality food and conversation. Don’t limit yourself to the basics…have fun. You can put a fried egg on ANYthing…chances are, it’ll be good. Burgers? Great. Fries? Wonderful. Tater tots? Beautiful. Salad? Delicious. Fried rice? Nom. Pizza? Drooling. Give it a shot. GET YOLKED. Still need to learn egg basics? Check these articles out.